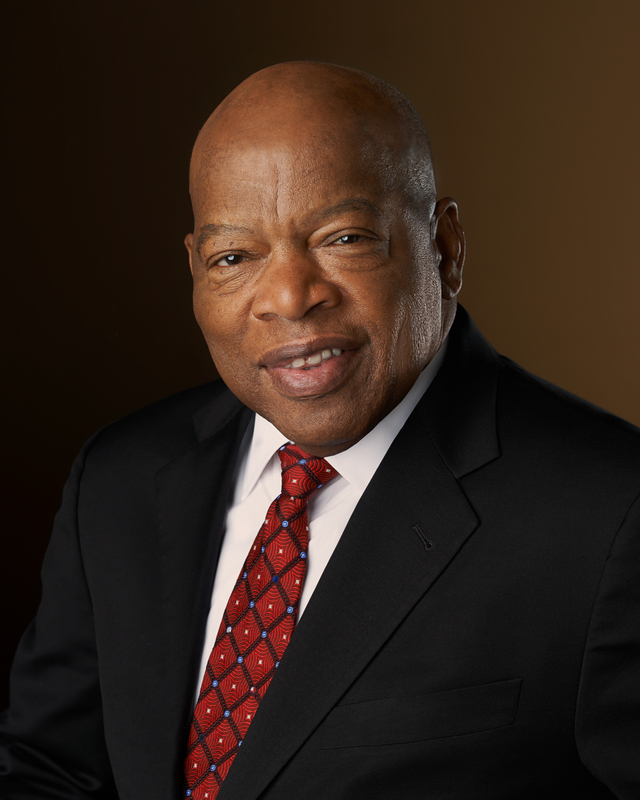 Today our honoree is not only a children’s book author, he is a congressman representing Georgia’s 5th District. 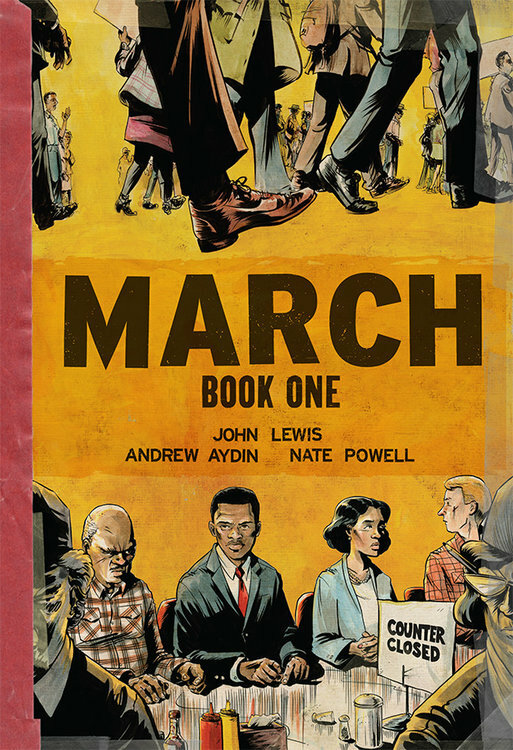 Along with writer Andrew Aydin and graphic artist Nate Powell, Mr. Lewis has written three books for young readers about his life in the Civil Rights movement: March Book One, March Book Two, and a third one, March Book Three to be released August 2016. Mr. Lewis witnessed segregation first hand while growing up on an Alabama farm. As a college student, he decided to work in a nonviolent way so that African Americans could eat at lunch counters, book rooms in any hotel, and attend schools of their choice. Why did he write about his life? “I want young people to know that another generation of young people had the same type of zeal, the same type of ‘get up, let’s do it,’” Lewis told Fusion’s Alicia Menendez. 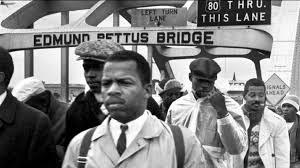 “But they did it in an orderly, peaceful, nonviolent fashion.” Listen to the complete interview here John Lewis talks to Fusion. In Move Book One, Lewis remembers his life as a four year old:pulling corn, picking cotton,and gathering peanuts on his family’s 110 acre farm. They raised hogs, cows, and chickens. He loved taking care of the chickens. He chose names like Big Belle and his favorite, Li’l Pullet. He goes on to tell about his first meeting with Dr. Martin Luther King, Jr. and why the non-violent movement was so instrumental in his life. 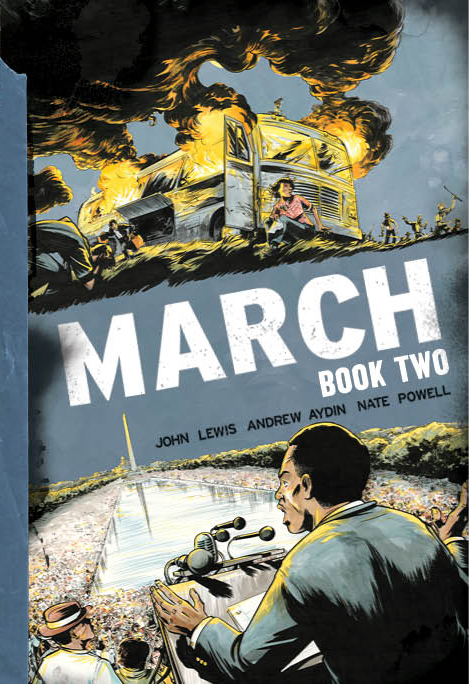 Congressman Lewis continued his graphic novel memoir with a second book March Book Two. Here is an NPR review. He also spoke about his life and books at the San Diego Comic Con. At the urging of Nate Powell, his co-author, he dressed as he did when he was 25 years old marching across the Edmund Pettus Bridge in Selma, Alabama with 600 Civil Rights workers. 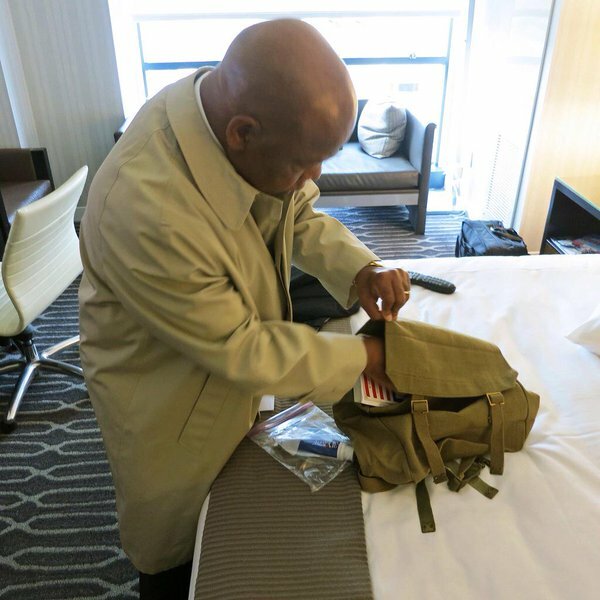 He wore a trench coat and a backpack filled with two books, an apple, a toothbrush, and toothpaste. After reading March Book One and March Book Two, I’m sure readers will line up for March Book Three!